1. Warning - Achtung - Attention : check you BIOS version !!! There is a known bug in embeded controller, where CPU fan stop triggering. This has been fixed with Bios version 1.20. I've experimented this bug (with BIOS 1.03 JEET47WW), and the CPU rises up quickly to 99°C at full load (even with short load). This is extremly dangerous for the health and lifespan of your laptop. So you should update BIOS to version 1.20 at minimum ! (Fix) Fixed an issue that Fan stops working even when temperature reaching trigger point. (New) Removed authentication of WLAN cards. So if you want to be able to replace the Wifi card with a MacOS compatible card, Bios version 1.08 or above is mandatory. --> Version 1.20 or later recommended. Due to so many horror stories and laptop bricked by BIOS update done from within Windows, I highly recommand to update BIOS only from bootable media (CD or USB thumb). Here you can find ISO file to download: https://support.lenovo.com/fr/fr/downloads/ds102287 If you get error message "secure flash athentication failed" while updating the BIOS, you should disable first "rollback prevention " in BIOS settings. Note: my installation guide will be based on Bios version 1.20. Sensor Hub ST Sensor Hub: gyroscope, Accelerometer, rotation detection, luminosity detection..
CPU, Graphic Card, Power Management, Battery, Sleep, Camera, Screen (FHD), brightness, HiDPI, Keyboard, Trackpad and Trackpoint, Sound, USB ports, HDMI port, HDMI Audio-Out, Onelink Pro Dock (USB2/USB3, DisplayPort, DVI, Ethernet). ST Sensor Hub: gyroscope, Accelerometer, rotation detection, luminosity detection..
Dell DW1560 (BCM94352Z) which is M.2 "A+E" keyed. Lenovo BCM94352Z (FRU 04X6020) which is M.2 "E" keyed. It consitsts of a combinaison of ACPI replacements done in Clover plist along with additional custom SDST files. I don't have eagle eyes anymore to read confortably at 1920x1080 pixels on a 12.5" screen... So I tried to use scaled resolutions, but vthen erything is blurry. That's why I've used HiDPI feature to get crisp and clear scaled resolutions. My custom override folder is set for 1920x1080 native resolution + 1600x900 scaled HiDPI + 1366x768 scaled HiDPI. You can either copy my custom override folder DisplayVendorID-30e4 (copy the whole "DisplayVendorID-30e4" folder) in /System/Library/Displays/Contents/Resources/Overrides/ or generate your own at https://comsysto.github.io/Display-Override-PropertyList-File-Parser-and-Generator-with-HiDPI-Support-For-Scaled-Resolutions/ (also read the doc at the bottom of the page). By default in Macbook Air 7.1 and 7.2 CPU lowest CPU frequency is 1300Mhz, while the i5-5200U can go lower to 800Mhz on idle or basic load. This means, as-is, your CPU will consume too much power (and so drain battery) when on low frequency. To fix that, you can patch the frequency vectors. Actually, I included 2 dummy kexts in the installation pack namely AppleGraphicsPowerManagement_K501LX.kext and X86PlatformPlugin_K501LX.kext, which contain the modified power profiles. You just have to install these two kexts to get the effect, thus no need to modify the original kexts. power plug on: ACPIDebug: "EC _Q26 enter" power plug off: ACPIDebug: "EC _Q27 enter"
Sound is reported to be Conexant CX22752 (aka Conexant CX20752) from Lenovo Win8 driver page or Conexant CX22751 (aka Conexant CX20751) from Lenovo Win10 driver page. Hopefully Conexant CX20751/20752 is supported by AppleALC kext. And the sound device in DSDT is already HDEF without patching anything. The layout-id to use for 20751/20752 is either 3 or 28. No need for VoodooHDA or CodecCommander. OK, I get HDMI Audio-Out working, but no control over the volume on that output ? There are external tools to enable sound volume control (from the system) for HDMI output. What they do basically it to create an additional virtual audio device (with controlable volume) and you send system audio to it, then it routes the sound the desired output. It acts like a proxy with audio routing. The caveat with these solutions above: expect some sound distortion and/or some delay, CPU usage and memory footprint increase, some issues with audio output/control after wake.... So it's up to you. On macOS Mojave nukes subpixel antialiasing, making your non retina monitor appear blurry. While this is considered as a "refinement" on Apple retina displays, it is clearly a downgrade regarding font rendering on FHD panel. Then you can set it to 1, 2, 3 or 4. Test the setting that suits you the best (I've used 3 on mine). You'll need to either reboot your laptop or close the session an log on again, in order to see any change. after update, when all set and done, restarted with a fatal osxaptio error. Had to update my old OsxAptioFixDrv-64.efi to OsxAptioFix3Drv-64.efi. Stylus (Tablet). Recognized as Mouse. 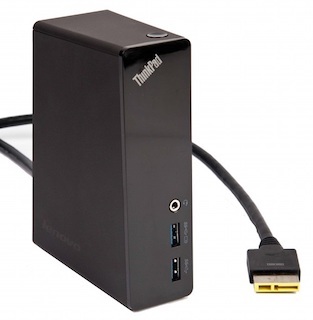 It adds the follwoing features totally working with MacOS Mojave: main power replicator, Ethernet Gigabit, additional sound output, powered USB Hub with 2 USB2 ports and 4 USB3 ports, DisplayPort, DVI port. And everything is hotplug. Note: I've tested everything except DVI port, but as FB Patcher reports 4 framebuffers including one disabled (set as dummy), I'm pretty sure it's possible to enable the framebuffer for DVI port.